A current perk of my job at Service Brewing Co. is having access to beers released through the Rare Beer Club. If you followed Brew/Drink/Run when we offered a daily beer review you already know several of these beers have been reviewed on this site. My boss kindly offers bottles from his membership to us, or shares them at weekly meetings. It’s exciting to try new beers, especially ones created by breweries I have yet to even hear of! Brassiere Dunham is one such brewery. 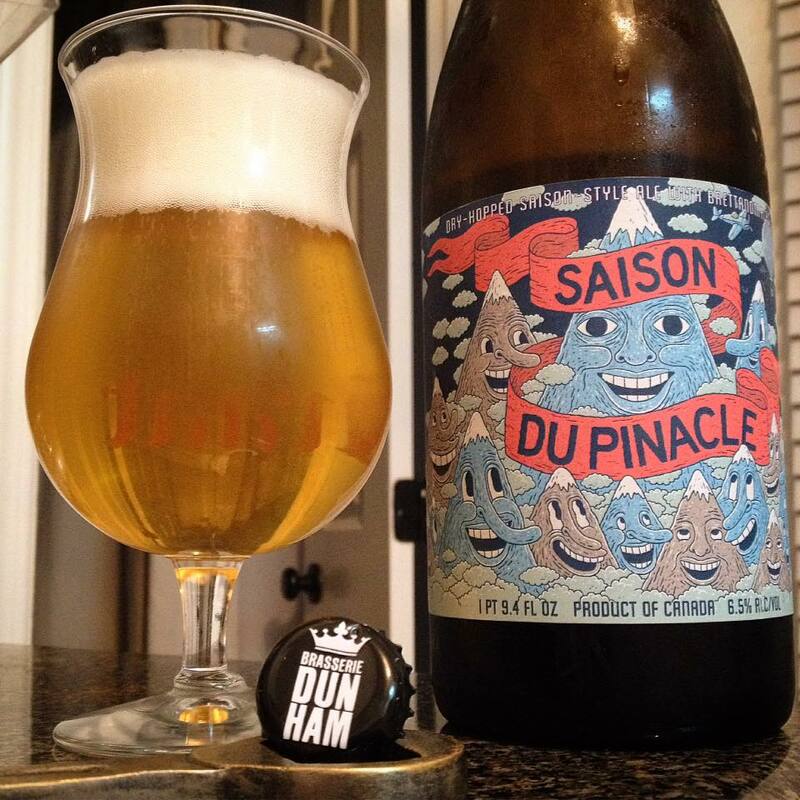 Named after a local mountain in Quebec, Brassiere Dunham Saison du Pinacle is a dry-hopped saison with Brettanomyces. The beer comes in at a fairly modest 6.5% ABV, and according to the Rare Beer Club website is brewed with …oats, rye and wheat, and potently hopped with hop varieties from the U.S. (Citra and Simcoe) and Australia (Topaz). The label art is illustrated by Jesse Jacobs. 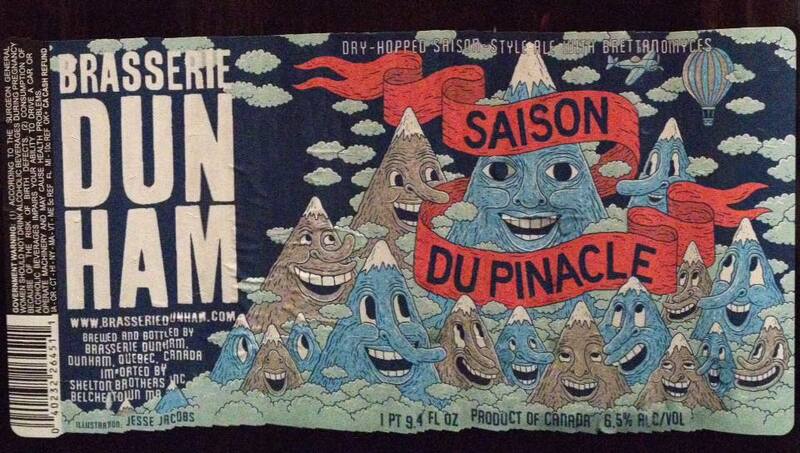 The art wraps the entire label and depicts several smaller mountains looking up in awe and joy at “Saison du Pinacle” towering over them. The feel of the art is a fun combination of 60’s underground comics, and the modern cartoon Adventure Time. I like it, makes me want to drink it! Saison du Pinacle pours with a clear, lightly golden color with some strong lemon yellow highlights. A large white head is created immediately and settles down to a solid layer. Perfect lacing coats the glass as the big pillowy head slowly sinks towards the beer. If the thick layer of creamy white sediment at the bottom of the bottle is any indication, I am going to go ahead and assume that this beer will get considerably more cloudy and hazy with additional pours. I am thoroughly impressed by the aroma of this saison. 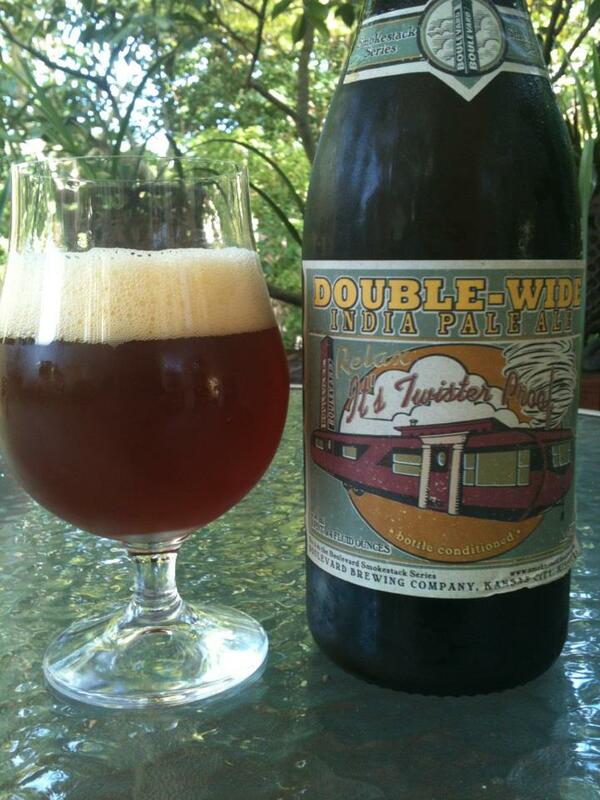 A fruity and slightly funky aroma greats me as I pull the glass up to my nose. A combination of tangerine, grapefruit, and a mild amount of earthy Brett funkiness lies underneath the fruit. Some much more mild notes of mango, grass and hay, slight clove and maybe just a little vanilla become evident with a little more effort. The aroma lead me to believe that this beer would be a good bit more juicy and sweet, the actual flavor is really anything but. A quick but intense blast of tropical fruit leads off the taste. Orange, mango and a little pineapple hit the palate but are quickly overtaken. Grass and hay pummel the fruit from the initial part of the taste into submission. The yeast is clearly a primary player in the flavor profile with the Brettanomyces taking over the proceedings mid-taste. 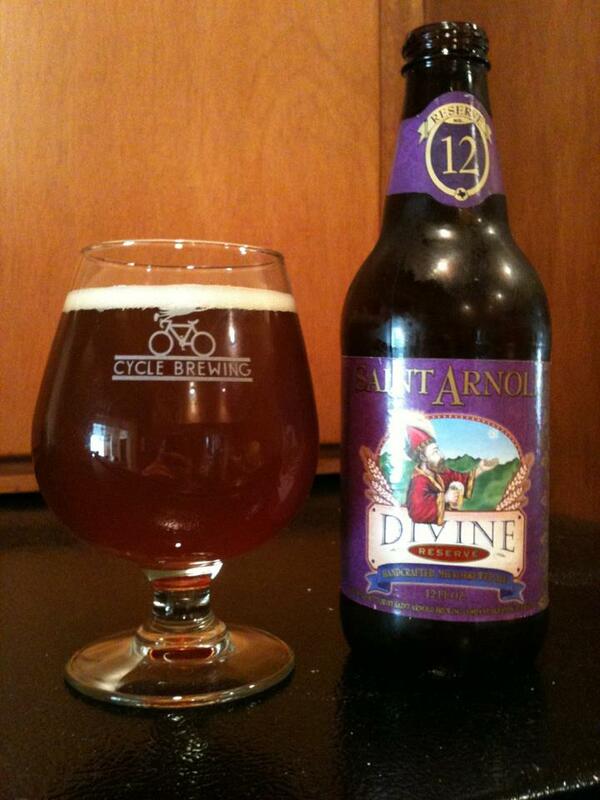 Saison du Pinacle is a funky beer, but not in that straight barnyard kind of way. 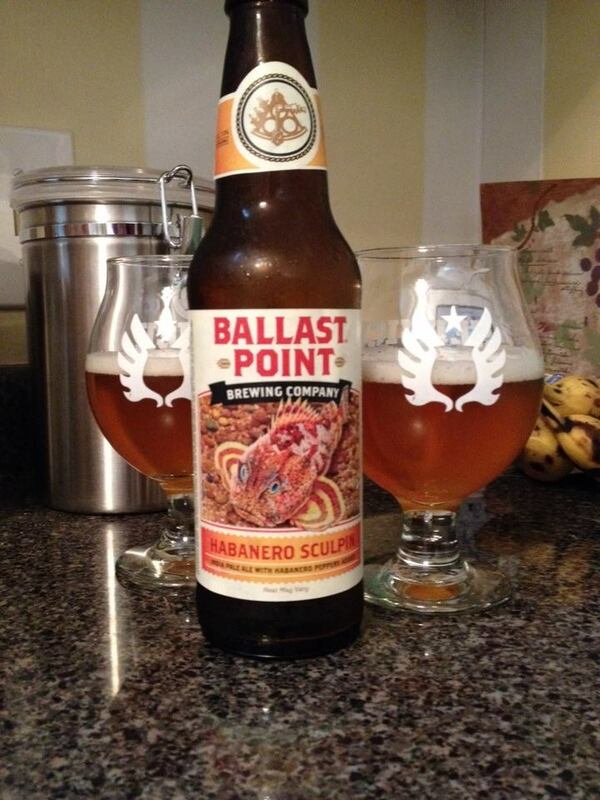 A distinctly earthy and floral flavor comes out with each sip. There is a kind of generic spiciness to this beer as well, slight clove and lemongrass notes. A more specific white pepper flavor is on the finish and aftertaste. As the beer warms up more layers of flavor appear. At first the hops are a not much of a factor at all, but my second pour from the 750 ml bottle reveals some nice notes of mild pine, and moderate bitterness that lingers throughout each sip. That more generic “Belgian” spiciness I initially got starts to take on more of a rye spice character as the beer reaches room temperature. 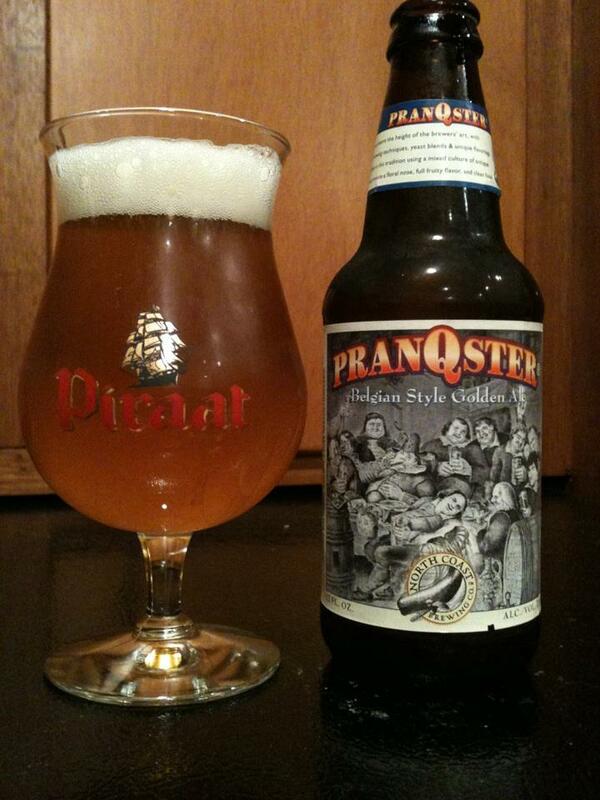 In addition a bit of a tartness appears with a little passion fruit and lychee coming through. 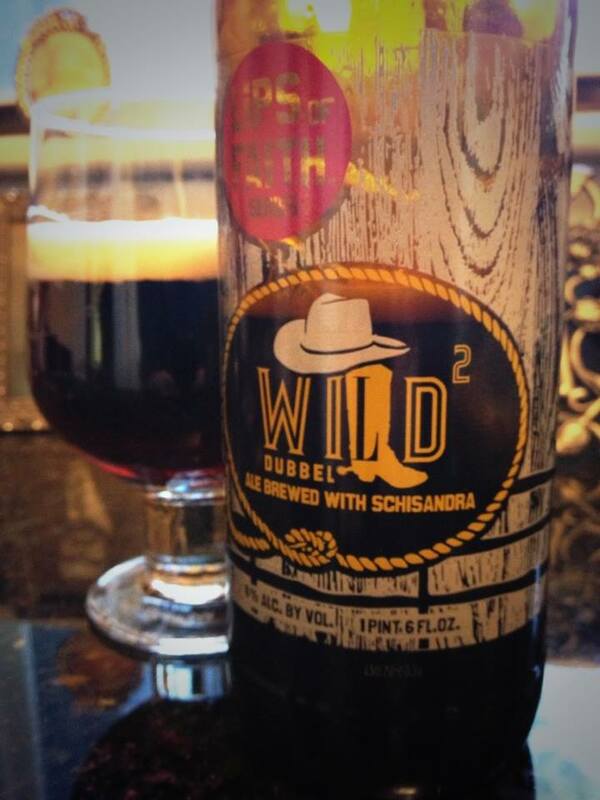 A strong and vibrant amount of carbonation is the perfect compliment to the dry nature of the beer. I find that my mouth is reacting much like it does when I have a potent sour ale. The dryness of the beer creates a bit of jaw clenching with each sip. Overall Saison du Pinacle feels crisp and refreshing with just the right amount of bitterness, I see no problems with me finishing this bottle on my own. Saison du Pinacle is about as good a hoppy saison as I can remember having. The combination of the fruit forward aroma, and the more dry and funky taste and feel is extremely enjoyable. If that sounds like a good combo to you, I’d keep and eye out for a bottle of this one. According to the Rare Beer Club website, Brassiere Dunham claims Saison du Pinacle can be aged up to two years. Sure the Brett could develop some, but I would suggest popping the top on this sooner than later. This beer has so much to offer with that bright fruit aroma and hop flavor, I wouldn’t take the risk.